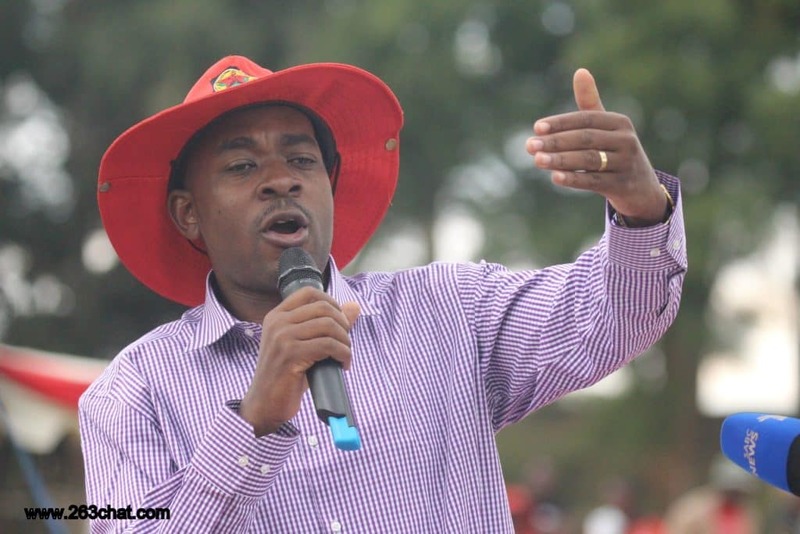 The ruling Zanu PF is panicking over the huge support, the opposition MDC Alliance is receiving from its nationwide rallies, Nelson Chamisa has said. Addressing journalists at the MDC Headquarters in Harare today, Chamisa said President Emerson Mnangagwa has no opportunity of winning the forthcoming election due to the huge support he is receiving nationwide. “We are winning, and it is clear, people are supporting us very much with a huge support, which is now scaring ZANU PF,” said Chamisa. “ZANU PF is going to be our walk over, we do not count it but what we want is the election to be done freely and fairly,” he added. Chamisa maintained his no reform no election stance, vowing to take the Zimbabwe Electoral Commission (ZEC) through all legal procedures until his party concerns are addressed. MDC Alliance has been crying foul over the manner in which ZEC is conducting the elections business including printing of ballot papers which they said is being done without their involvement amid suspicions over the paper to be used. Meanwhile, in a radio interview yesterday, ZEC Chairperson, Justice Priscilla Chigumba insisted that elections will proceed as stipulated by the constitution adding that she has never received complaints of irregularities from police officers who participated in the postal voting exercise last week. Zimbabwe is due for elections on the 30th of July, the first polls since the fall of long time ruler Robert Mugabe who was dethroned from power in a military coup.